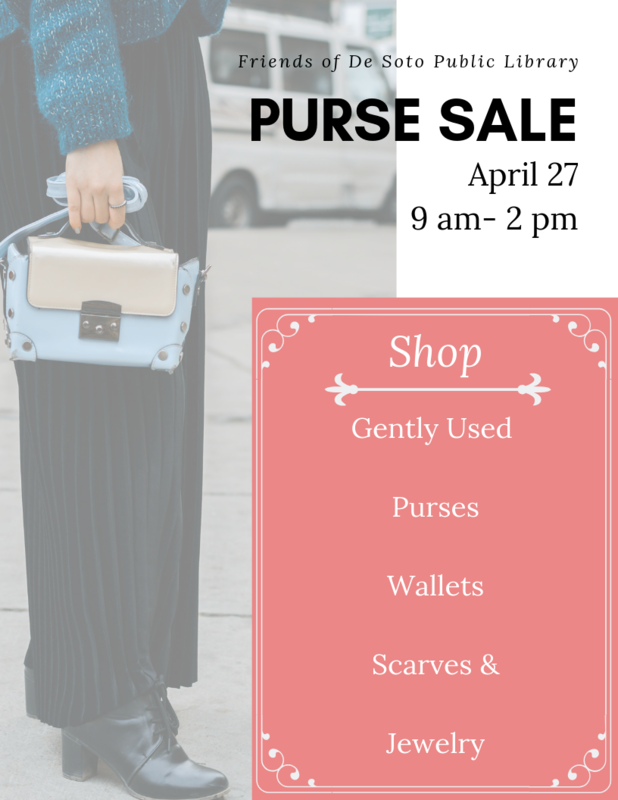 Come shop the 2nd Annual Friends of the Library Purse Sale. They will have gently used purses, wallets, scarves, and jewelry. All proceeds benefit the De Soto Public Library.